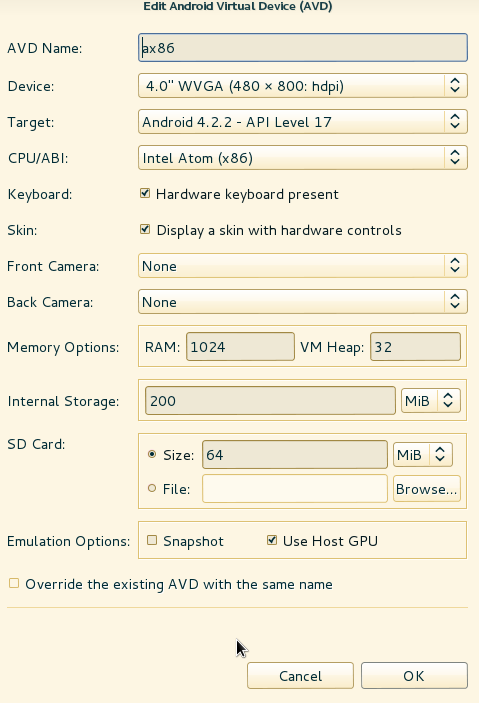 Default settings for andoid emulator in adt (eclipse) makes it enormously slow. Someone says it is faster to load application to real device than wait for emulator loading. What is a much simple way to speed up emulator? step 0. 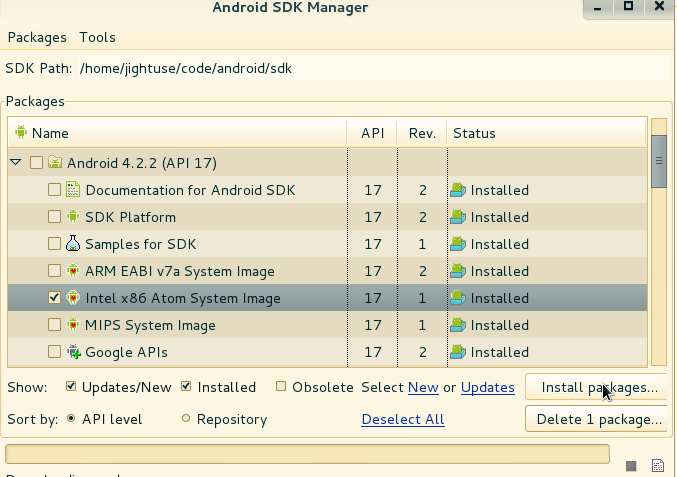 Install android developer tools (adt) or eclipse + ADT plugin, if you not have one. That's all! Run our application on created device and enjoy. Post based on stackoverflow answer. Also there is a post from Intel on this subject, but as I undersand it works on Ubuntu only.